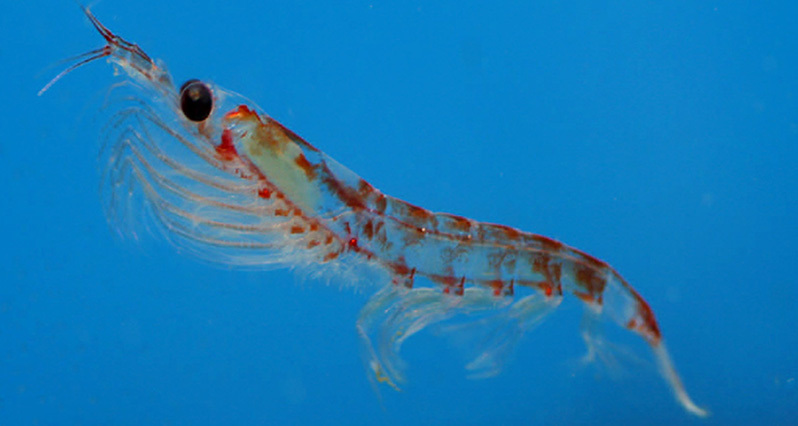 image of krill courtesy National Oceanographic and Atmospheric Administration Photo Library. Which omega-3 supplement is going to win the throwdown? Seems like you can’t turn on the teevee these days without someone touting a tiny, easy-to-swallow capsule of krill oil which will supposedly does everything fish oil does, and more. But – and I know this may come as a shock to some of you – some of the advertising on teevee can be a bit misleading, putting clever catch-phrases before facts, hype before substance. (This is something I’ve learned watching the presidential primaries). ANYWAYS, let’s get down to it: krill vs. fish: what’s the difference? (Oh, and in case you wondering, krill are tiny, Antarctic, shrimp-like creatures). Both fish oil and krill oil contain compounds called “omega-3s,” short for “omega-3 fatty acids” (which may sound like a futuristic marketing term, but is in fact chemistry nomenclature to describe the structure of the molecule). When we’re dealing with a food supplement, it’s almost always a mistake to refer to something as “the” active constituent. There’s more to an orange than vitamin C; there’s more to milk than calcium; there’s more to Echinacea than echinosides. Etc. Fish oil, however, is the exception to the rule: pretty much every one of the wonderful things fish oil does can be attributed solely to omega-3s. The fats in fish oil, like almost all dietary fats, are packaged into molecules called triglycerides. These fish triglycerides contain a good amount of omega-3s (of course), but also other fats that aren’t really important. Most fish oil manufacturers try to concentrate the omega-3s. First they disassemble the triglyceride molecules, concentrate the omega-3s, then reassemble the triglycerides with the higher concentration of omega-3s. This can increase the omega-3 content from a baseline of 30% to a standard of 50%, sometimes much higher. A newer method used by some manufacturers is to reassemble the omega-3s into a different molecule called an ethyl ester. Omega-3s in ethyl ester form are more tightly compacted, meaning you can fit more omega-3s in a pill. They also may absorb better. Or they may absorb worse. The research here is conflicting, and, at least to me, confusing. For the time being, it feels safe to say that both triglyceride and ethyl ester omega-3s are reasonably effective and absorbable. Krill omega-3s come packaged in a third form: phospholipids. Phospholipids are actually less compact than either ethyl esters or triglycerides – you can fit less omega-3s in the same volume – but they make up for this by being much better-absorbing. They absorb better from the gut into the blood, and seem to be better at getting from the blood into the brain, and the cells themselves. So far, there has been only one study directly comparing fish-derived omega-3s in both triglyceride and ethyl ester forms with a similar dose of krill omega-3s. The trial was, unfortunately, very small, and the results varied so much from person to person that the averages were considered statistically inconclusive. Also, the study looked at absorption over 72 hours after a single dose, while omega-3s supplements are almost always intended for long-term use. However, the numbers appeared to suggest that krill oil was a superior delivery system for omega-3s, between 30% and 60% better. However, because phospholipids omega-3s are so much less compact than other forms, krill users needed to take 14 capsules a day, vs. just 4 of the fish oil. Another study compared triglyceride fish oil to krill oil, and found that both raised blood levels equally, even though the dose of krill omega-3s was about a third less than the fish omega-3s. But, again, pill count was an issue: the krill group had to take twice as many pills. So far, the discussion has focused entirely on omega-3 content and delivery. However, there’s more to krill oil than omega-3s. Phospholipids themselves have value independent of their fatty acid content, primarily as crucial components of cell membranes. 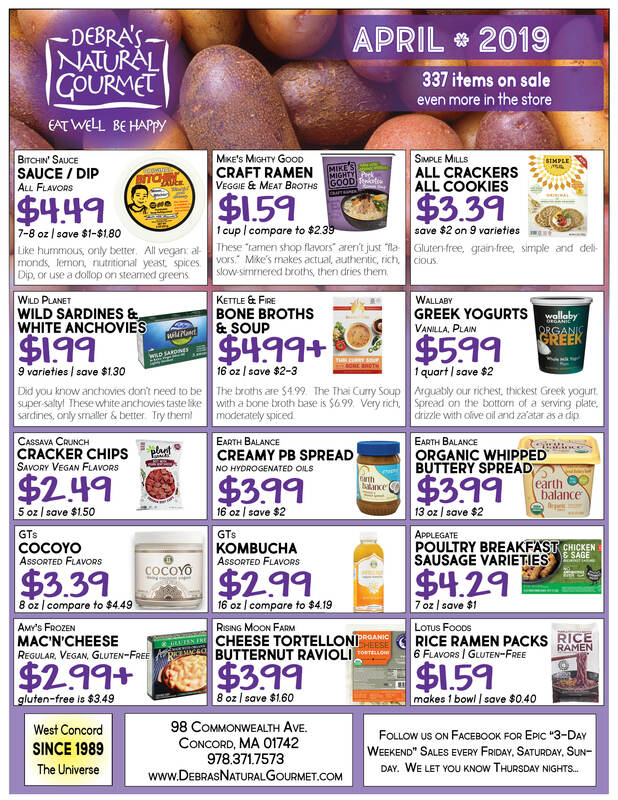 In fact, our store sells some phospholipids as health supplements. Phosphatidyl choline (the primary active ingredient in lecithin) is of value to fat metabolism (cholesterol, fat digestion, fatty liver), and possibly to the brain and eyes as well. Phosphatidyl serine is of great value to the brain in terms of acuity, memory, and helping regulate the production of stress hormones. Krill contains versions of both these molecules, and many related ones. You’re probably going to get less in krill oil than a standard therapeutic dose. But there’s enough to at least be relevant. And bear in mind, krill oil isn’t just a supplement that gives you omega-3s and phospholipids next to each other in the same pill, but the two compounds joined together in the same molecule. This may help carry the omega-3s directly into the cell membrane, where we want them. Krill also contains a small but significant amount of a compound called astaxanthin. Astaxanthin is a bright red, fat-soluble antioxidant, structurally similar to beta-carotene, lutein and lycopene. This strong antioxidant works as a natural preservative for the krill oil itself. It also has value of its own as a protective nutrient. So far we’ve focused on absorption and theory. But what does krill oil actually do for us? To being with, it seems safe to say that krill oil will do roughly whatever fish oil does. There have only been a few studies where krill oil is examined in actual people to see what it actually does. Certainly many, many fewer than the number of studies using fish oil. The three areas with research today are PMS, arthritis, and hyperlipidemia (high cholesterol and blood triglycerides). In the study with PMS, patients were instructed to take 2 grams of krill oil or fish oil daily for a month. For the next two months, they were to take 2 grams a day just for the two weeks around their periods. The fish oil was in triglyceride form, and not especially concentrated (30% omega-3s). In terms of digestive symptoms (weight gain, bloating, abdominal pain), both fish and krill oil showed slight benefit, about equal to each other. In terms of emotional symptoms (stress, irritability, and depression), and other physical symptoms (joint pain, breast tenderness), krill oil showed a clear and significant advantage over fish oil. Nobody’s symptoms completely disappeared, but the improvements were clinically significant. This is important not just for PMS. It implies krill oil is generally well-absorbing and effective for mental and emotional health, and joint pain. In the study with arthritis, krill oil was compared to placebo and found to be very effective, at a low dose, after only two weeks. I mean, wow – one small pill a day! However, I’m a little suspicious of these results. Not only did the krill group get better, but the placebo group got worse – much worse – in just a couple of weeks. This is odd. You normally don’t expect arthritis to get that bad, that quickly. Looking more deeply at the trial, there are some other red flags that I won’t get into for fear of slandering anyone (and because I’m not sure what they mean), but let’s just say it looks a little sketchy… So, research on arthritis, for me, is still a big question mark. In comparing krill to fish, finally, there’s the issue of Larger Health – environmental and planetary. Concerns have been raised that by harvesting krill, we’re stripping the planet of a foundational link in the food chain. This is a legitimate concern. But current harvesting appears to make almost no dent in the global biomass. And krill for human consumption currently accounts for less than 1% of the harvest – the bulk goes into pet food and livestock feed. As krill oil continues to grow in popularity, this may change. But right now, I’m more worried about the sustainability of fish oil, at least from unethical suppliers. So, we return to the question: krill or fish? On a per-pill basis, krill appears to be the hands-down winner. You simply need to take less of it to achieve the desired effect. On a per-dollar basis, however, it isn’t so clear-cut. You can buy so much more fish oil for the same money… No amount of fish oil, however, has put up the numbers in that one study with hyperlipemia, at least not that I’ve seen. When people ask me for an oil to protect the heart and vascular system, I’m going to recommend krill. Also, for those people who really don’t want to take that third or fourth pill. For the rest, for the time being at least, I’m sticking with the fish. There’s simply too much research behind fish for me to jump onto this new bandwagon on the basis of a handful of trials. And personally? I’m still going to take my fish oil (Carlson brand, which I’ve remained loyal to for the last decade). But I’m going to start supplementing it with 1,000 mg of krill oil a day. I’m not sure what it’s going to do for me, but omega-3s are so important, I’m willing to hedge my bets. 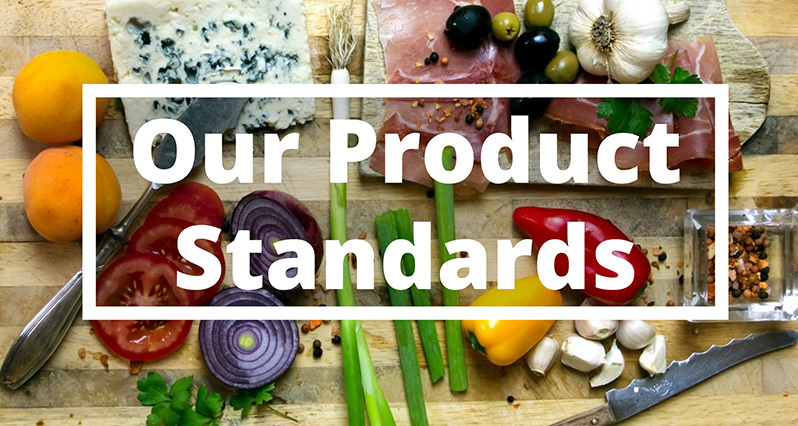 Although there are exceptions to this rule as well: oil from the liver of the fish has vitamins A and D; some specialized fish oils from whole salmon or fish brains have additional stuff in them. Many of us have been led to believe that dietary triglycerides are bad, because we “high triglycerides” on our blood work is a risk factor for heart disease. Long story short: there’s no connection between triglycerides in our diet, and triglycerides in our blood. Of course there are different ways to measure absorption: over the short term, or the long term; into the bloodstream, into the cells, into the brain; on an empty stomach, or with a meal; in high or low doses; etc. So forgive me as I generalize.